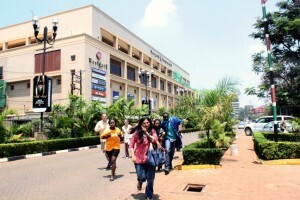 Last week, ten to fifteen Islamic terrorists sieged the Westgate Mall in Nairobi, Kenya. We watched in horror over the next three days as photos and reports of atrocities were paraded in the news. In the end, they killed 61 civilians and 6 security officers. The attackers did not just end the lives of innocent people. Reports from Kenyan military described a particular torture technique in which the militants “sharpened the arms” of the victims and forced them to write their names in blood with the makeshift writing implements. With the exception of the rare serial killer, this is the stuff of horror movies. It just can’t happen here. Or can it? Al-Shabab, the group claiming responsibility for the Westgate Mall massacre, had been promising a retaliatory attack on Kenya for two years for its role in sending troops into Somalia in 2011. The hate preacher, Abubaker Shariff Ahmed, credited with recruiting the Westgate Mall terrorists, warned that Britain will be next. He named David Cameron as a target in attacks that would also bring violence to the people of Great Britain. “Yes. The British will be targeted personally. That means tourists on the streets will be killed. You will all die.” he said. Al-Shabab formed in 2003 when younger members of Al-Ittihad Al-Islami, a group that rose out of the anarchy following the 1991 overthrow of dictator Muhammad Siyad Barre, began working with the Islamic Courts Union to establish a “Greater Somalia” under fundamental Islamic rule. Some of the younger members, who were partially funded and armed by Osama bin Laden, stayed in Somalia and are now formally aligned with al-Qaeda. Others fled to America making their homes in the mid-west. Columbus, Ohio has the heaviest concentration of Somali immigrants in the US second to the Twin Cities. A 2007 Census estimate placed 8,000 Somalis in Columbus. During the same year, a Somali community organization claimed 80,000. One such refugee is Nuradin Abdi. Abdi fled the turmoil in 1999 and went to work as a cellphone salesman in Columbus before opening his own store. Abdi returned to Ethiopia that same year to train in firearms, guerrilla warfare, bomb-making, and bomb-handling in preparation for violent jihad. He later conspired with two friends from the Omar Ibnelkhttab mosque to exact revenge. Abdi met with co-conspirators Iyman Faris, a Pakistani immigrant, and Christopher Paul, a Worthington native, at Caribou Coffee in Upper Arlington in August of 2002 to discuss their plans. Abdi suggested an attack in Columbus. His proposal included blowing up a shopping mall. Polaris was thought to be on the short list of targets. The attack was thwarted by police. The three were later convicted of terrorism charges. 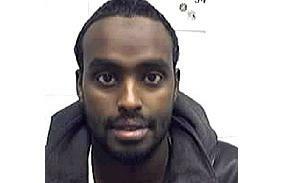 Abdi finished his sentence in August of 2012 and was deported to Somalia. The threat of a terrorist attack in Columbus did not leave with Adbi. A US official said that 20 members of al-Shabab capable of striking outside Somalia are on American soil. Al-Shabab claimed via Twitter that some of the Westgate Mall mujahideen included Americans from the mid-west. The group recently memorialized three Minnesotans in a recruiting video, The Path to Paradise: From the Twin Cities to the Land of Two Migrations. In fact, as recently as 2007 Christopher Paul was recruiting on behalf of al-Qaeda. He trained the recruits in martial arts and other terrorist tactics he learned in Afghanistan and Bosnia at Burr Oak State Park in Glouster, Ohio. Paul was operating under clear instructions to find a “true group and place to make jihad.” He plead guilty to conspiracy to bomb targets in Europe and the US. Although Paul went to jail in 2008, his recruits remained. An unnamed Columbus resident was accused of funneling money to al-Shabab in 2010. The investigation lead to the arrest of fourteen people in Columbus and Minnesota. Al-Shabab activity has been confirmed in Columbus in the last three years. And that’s just what the police have told us about. How much activity have the police stopped and haven’t told us about? How much have they missed? It can happen here. It will happen here. It’s only a matter of time. This is the first of a three part series I am developing with the help of Greg Ellifritz of Active Response Training. Watch for parts two and three soon. You can follow me on Twitter and Facebook for automatic notification. michaelnewbern.com » Westgate Mall: How Do We Prevent It?